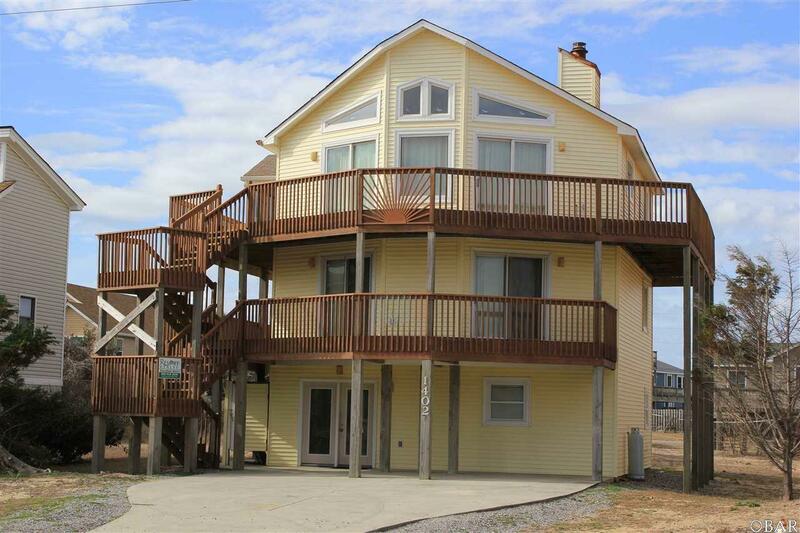 This beautiful semi-oceanfront home offers 5 bedrooms, 4 baths, and is centrally located in Kill Devil Hills, NC. 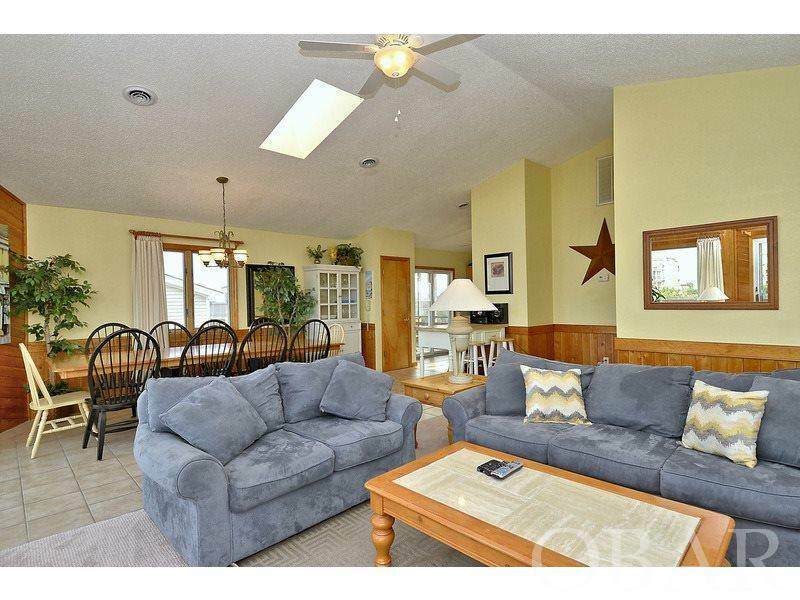 The Wow house certainly lives up to its name with its great layout, bright airy feel, and 3 Master bedrooms. 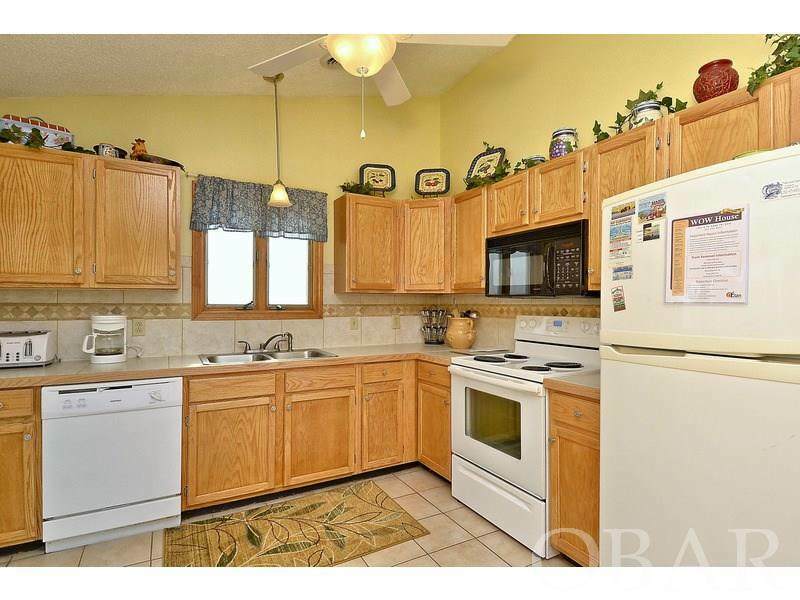 On the bottom level is a nice sized Master, large game room with pool table, TV lounge area, and a laundry room. The back door provides access to a fenced-in pool and hot tub area, with plenty of room for guests. Just up the stairs on the middle floor is a second TV seating area with deck access, and three bedrooms, one a Master, and the other two share a bath. 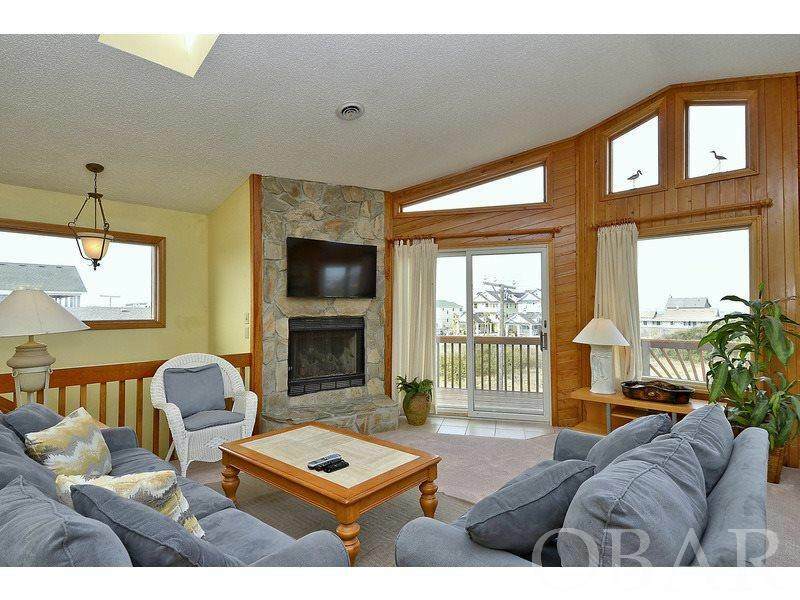 Upstairs on the top floor is a large open living area with a gas fireplace, tons of windows and views of the ocean. The living room opens to the dining area and kitchen, an additional Master Bedroom, and a screened in porch off the kitchen overlooks the backyard and pool. This homes fabulous features, and close proximity to the beach, shopping, and restaurants, make it a true value!